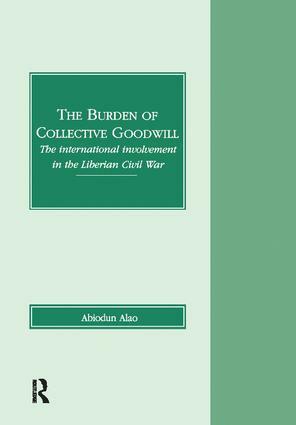 The book is the first to discuss in detail the extensive external involvement in the Liberian civil war, a war that claimed up to 200,000 lives, created a massive refuge crisis and brought West Africa to the tribunal of international attention. The book is conceived against the background that the international response to the conflict has features that are unprecedented in the management of civil conflicts in the post-cold war era. For example, the regional peacekeeping mission was the first after the end of the cold war, while the dispatch of UN Observer mission was the first ever joint peacekeeping mission between the UN and a regional organisation. The extensive involvement of international organisations in the conflict has not been witnessed in the region since the Biafran war of 1967-1970. Contents: State failure, international intervention and the collapse of the Liberian state; The politics and economics of the Liberian civil war; Regional involvement in the Liberian conflict: ECOWAS and ECOMOG in Liberia; The United Nations and the Liberian conflict; Allies as rivals: ECOMOG and UNOMIL in Liberia; Non-governmental organizations and the Liberian emergency; Whither the Godfather? the United States and the Liberian civil war; The international community and post-conflict Liberia.